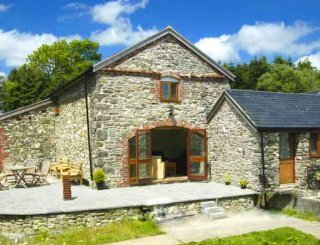 Bryn Du Mountain Centre, Snowdonia, Wales, sleeps 2-35 in 7 bedrooms. 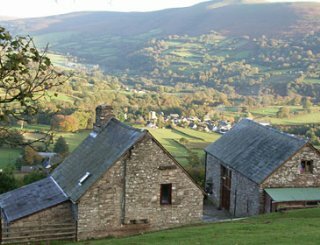 Boulder Adventures is based at the Bryn Du Mountain Centre in Llanberis, Snowdonia. 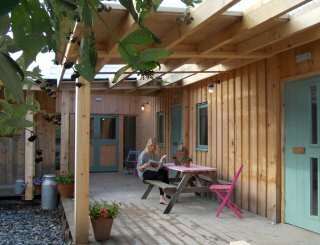 This residential centre is a renovated Victorian house set in large gardens and provides a selection of outdoor and indoor areas in which to socialise. 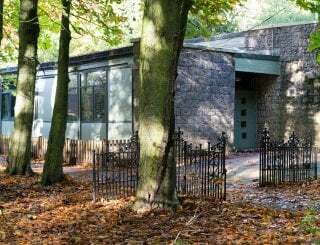 The lounge, with wood burning stove and TV & DVD, gives you the chance to recover from your day's activities and the dining room is an ideal spot to socialise and refuel, enjoying the fully catered meals that we can provide. There are also modern shower facilities with constant hot water and an efficient drying room. All bed linen is provided. 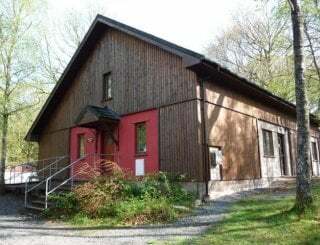 Bunk bed & Breakfast, full board and self catered options are available. 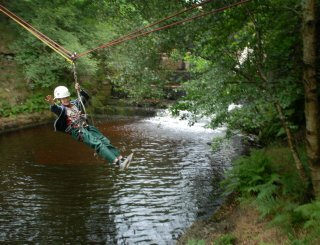 We can provide a range of activities and specific courses in water or mountain sports. We can also offer weekend house parties for your group's sole use. 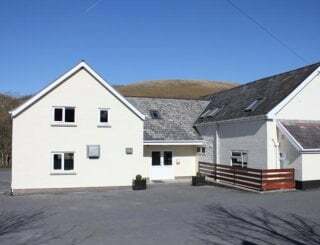 Amongst mountains, lakes, forests and the remains of the impressive slate quarries, Llanberis is one of the most popular mountain tourist centres in the Snowdonia National Park, offering something of interest for young and old, whatever the weather. Snowdon itself lies adjacent to the town and it is possible to walk directly down off the North face to the Bryn Du Mountain Centre. Should you wish to make the 3560 foot climb to the summit easier, there is a unique passenger railway that runs from the town. 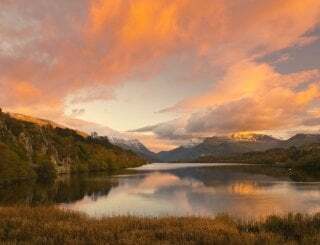 Apart from the mountains, we are in easy reach of some of the best paddling rivers in the country and Llyn Padarn also offers a wide range of water sports opportunities. 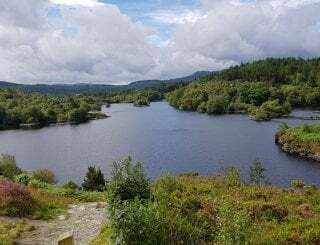 As an alternative to outdoor activities, there are many other attractions such as Welsh Slate Museum, the Lake Railway and the network of nature and woodland trails within the Padarn County Park. 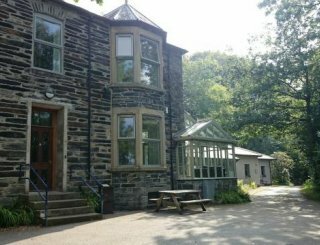 Llanberis also offers a variety of pubs, cafés and shops. Self catering for exclusive use groups only. Dining for up to 35. TV & music system in the lounge. Central heating and wood burning stove. 7 bunk bedrooms, one 1-bed, two 4-bed, three 6-bed and one 8-bed. 7 shower/basin/WC cubicles plus separate WCs. All ground floor rooms have wide doors. There is one bedroom on the ground floor as well as a shower room and WC. No cots or high chairs. Yes, patio area and garden games. No smoking in the buildings. Bangor and Caernarfon, with its famous castle, are within ten miles of Llanberis, as are the beautiful beaches of the North Wales Coast. We are in Llanberis. Everything you will need is here. 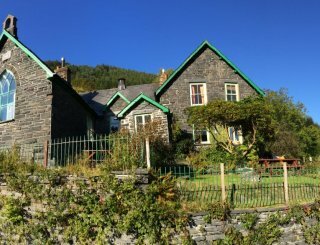 Llanberis has two small supermarkets, several restaurants and cafés, a collection of outdoor shops, a chemist and a number of souvenir shops.